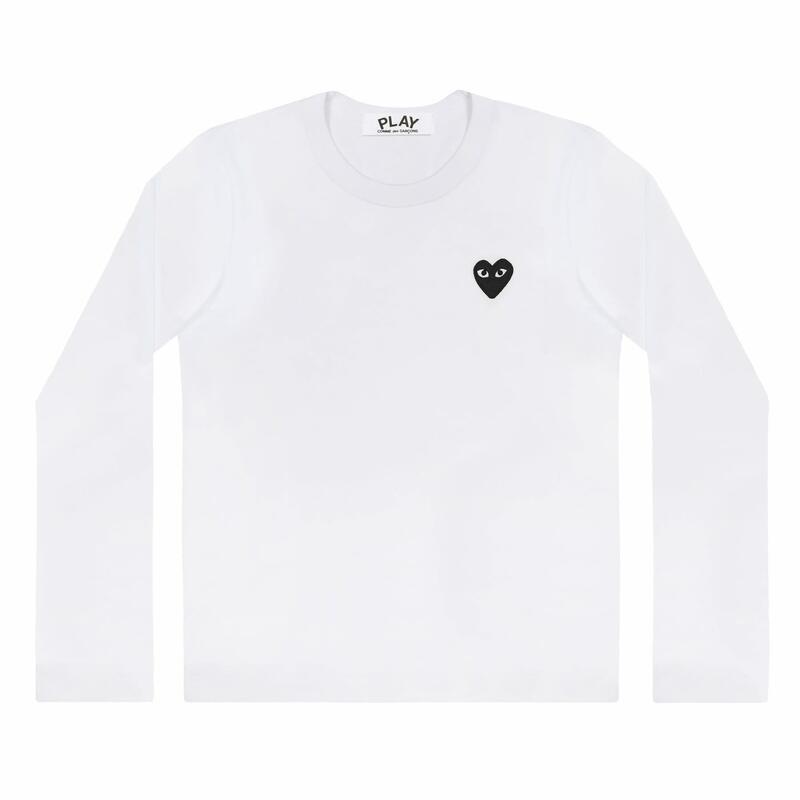 Comme Des Garcons PLAY long sleeved t-shirt in white. Features a black embroidered "Play" heart logo designed by Filip Pagowski on the chest. Sleeves are uncuffed for a relaxed feel. Runs small - we suggest buying 1 size up.